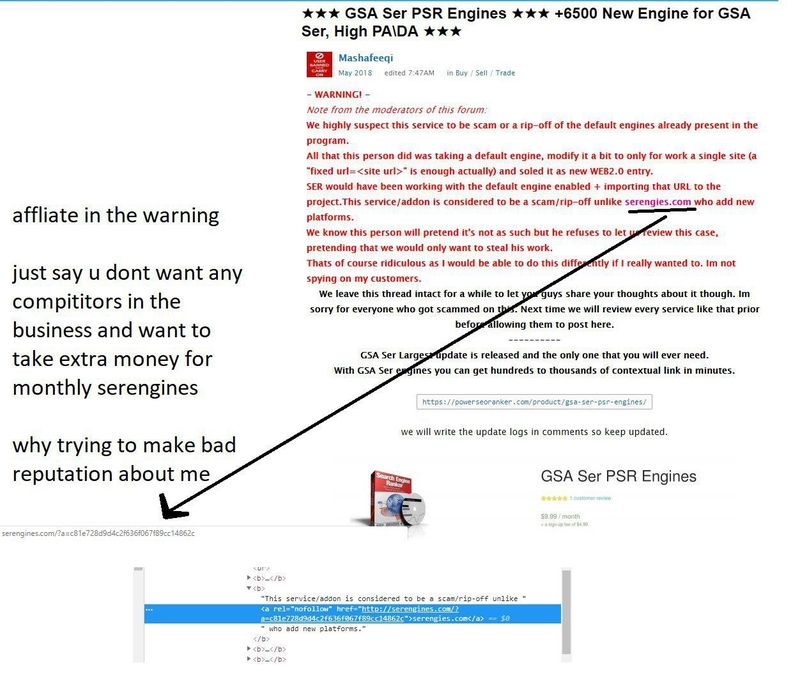 PSR Enignes Not Scam , 100% real and best upgrade for gsa ser — . :: GSA SEO & Marketing Forum ::. he sent me this image, i was very shocked !! best seo expert i ever met, u may see others say the same about him because he is the best. i think the forum owner should rethink his action and offer an apologies to the man. lol how low can someone go...now that I banned your IP, you use a proxy and sign up and post this? Common, you can do better than this! And yes, it's an affiliate link to this post as my script places certain links automatically. It's my affiliate link, it's my forum and you should be the last to argue about it as you did it all the time. All your post are there to place a link to your crap. And I would like to point out that I have no doubts that your engines worked. The problem is, that you take an existing engine, make it a fake new one by adding "fixed url" to it and pretend that you are offering extra value to SER...you are not! And you never proved me wrong even when I gave you the chance to do so. All you did is running away and sign up with fake accounts arguing about irrelevant things.